Actor Lupita Nyong'o, jockey, Bryony Frost, cervical screenings, #EndFGM activist Nice Nailantei Leng'ete and author Eleanor Anstruther. In less than 10 years Lupita Nyong’o has starred in a number of high profile and award-winning roles. 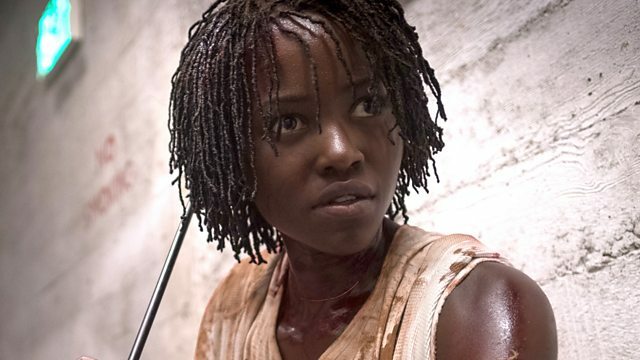 Her latest project ‘Us’ is a thriller-horror, directed by the Oscar-winning Jordan Peele. Lupita joins Jane to discuss skyrocketing into fame and the impact of being an African woman in Hollywood. After official figures revealed the number of women going for smear tests had reached an all-time low, there was a campaign aimed at encouraging women to go for the tests which look for the early signs of cervical cancer. Not surprisingly, more women went for testing…but the Guardian reports this morning that the service is in meltdown as scientists have been leaving. Kate Sanger, from the charity Jo’s Cervical Cancer Trust, explains why. As a Maasai child in Kenya, Nice Nailantei Leng’ete accomplished something remarkable: she refused to undergo her culture’s ritualized female genital mutilation. As an adult, she has gone on to negotiate with village elders, who traditionally have not worked with women, and convince them that alternative coming-of-age ceremonies will be healthier for girls and better for communities. Nice joins Jane to talk about her escape, and how her work has saved an estimated 15,000 girls around Kenya from the cut, as well as from child marriage. Author, Eleanor Anstruther’s father, Ian, was sold to his aunt for £500 because his mother was in terrible debt. After hearing his story, Eleanor wanted to know more about how and why this had happened all those years ago, so she began some research and then wrote about it. Her debut novel is ‘A Perfect Explanation’ . Cervical screening ‘meltdown’ headlines: What’s really going on?